Rent a car to use while your car or SUV is undergoing repair services here at Tri-Star Nissan, or if you’re between cars while you wait for your new car financing to process. 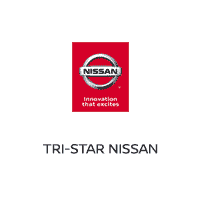 Tri-Star Nissan’s car rental service is easy to use, affordable, and high quality. To reserve a rental car in Uniontown, contact our team today below. Tri-Star Nissan can help you rent a car quickly with no stress and no hassle. *Valid diver licence and insurance, and a major credit card required to be used for a security deposit.